Fraternities on college campuses were born in the American South in the mid 1800’s and cloaked in a national culture of accepted societal norms that today would seem foreign and even repugnant to us. 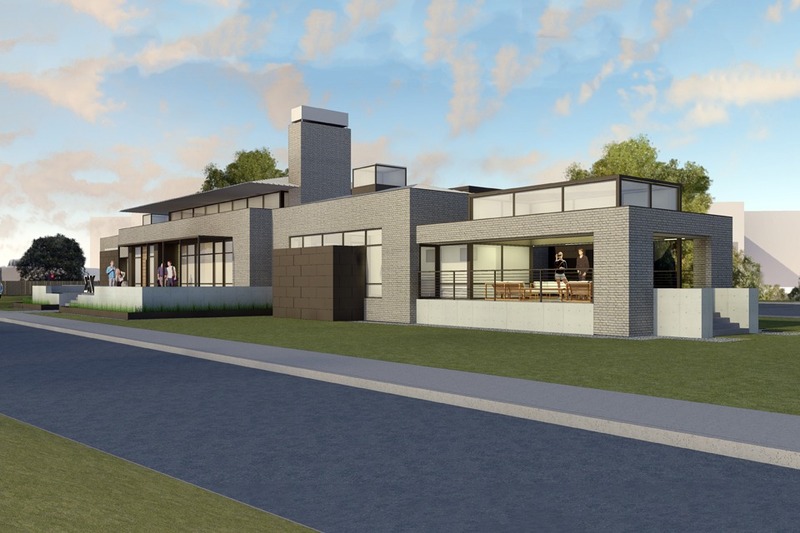 This design for a new chapter house for the Sigma Chi Fraternity on the University of Oklahoma campus endeavors to break free of a ubiquitous archetype of fraternity house design, namely that of evoking Southern plantation mansions, and instead evoke a truly inclusive, 21st century modern American culture. 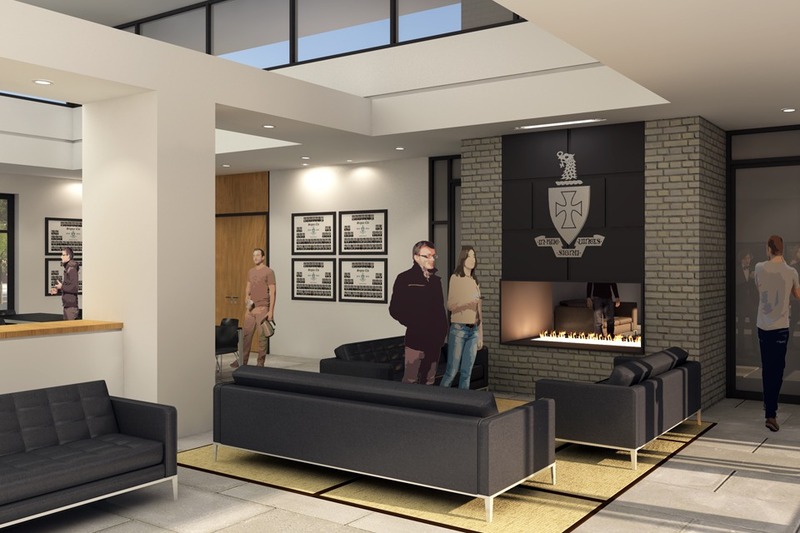 Designed to attract young men from any background and ethnic origin, this fraternity house will be a cool place to hang out and be with friends; a place that honors them while providing an environment in which to learn social skills, encourage learning, make lifelong connections, and have a home away from home. 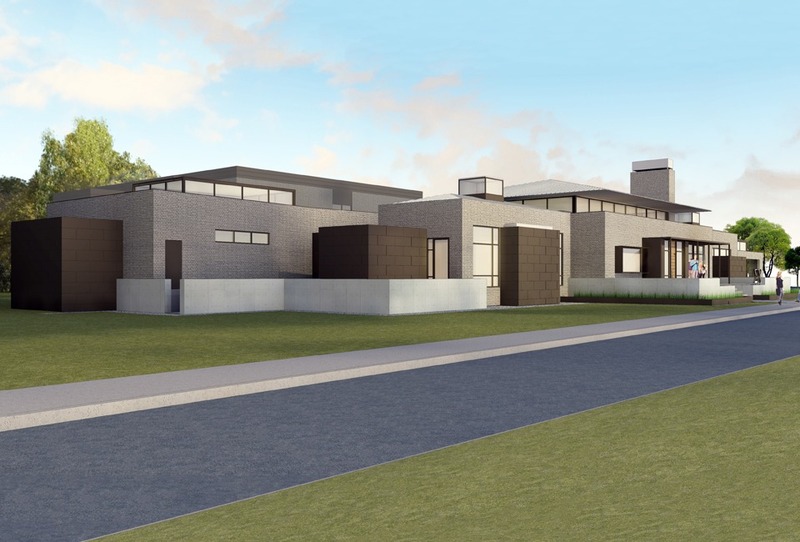 Long, expansive, modern forms and durable materials of masonry and tailored metal panel siding enclose light-filled interiors, and reflect the sweeping Midwest plains that surround the campus. 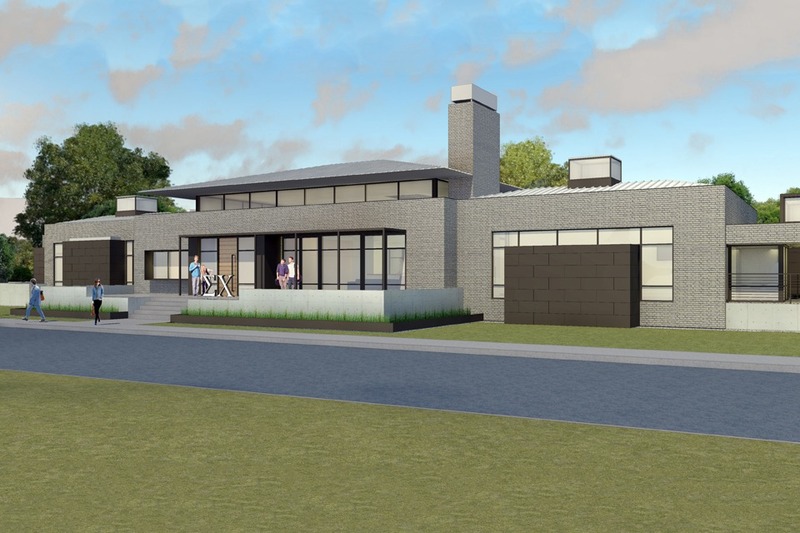 A central raised glass element under an expansive metal roof gives additional filtered natural light and volume to the main living and dining spaces. Smaller skylight boxes bring additional natural light into secondary spaces and offer unexpected glimpses of the sky. A generous covered outdoor room provides connections to the street and campus community.